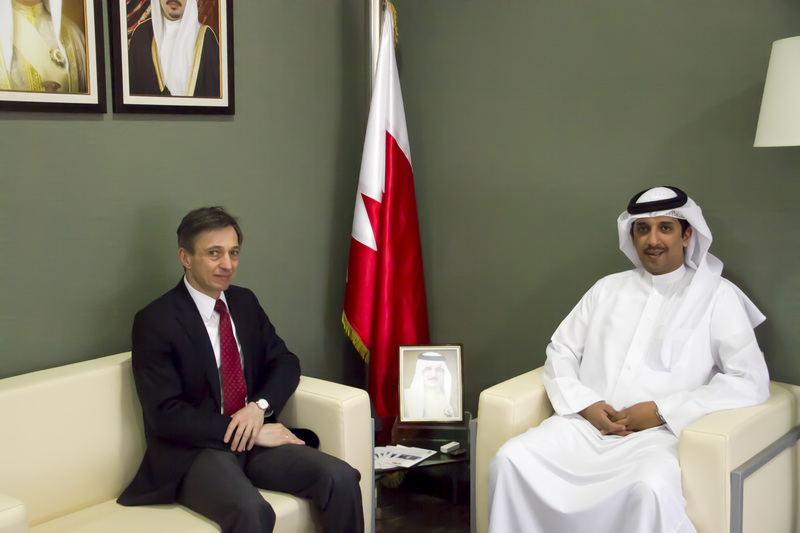 Dr. Khalifa bin Ali Al Fadhel, Secretary General of the National Institution for Human Rights (NIHR), received Dr. Sigurd Pacher, Ambassador of the Republic of Austria to the Kingdom of Bahrain, in the presence of Counselor-at-Law Mr. Yasser Ghanim Shaheen, NIHR’s Deputy Secretary General. Dr. Al Fadhel welcomed the Austrian Ambassador, commending the strong and distinguished relations between the two friendly countries, promoted by joint cooperation in all fields. Dr. Al Fadhel reviewed a number of human rights issues and the role of the NIHR in dealing with them in accordance with the terms of reference entrusted to it, stressing the importance of enhancing mutual cooperation and exchanging experiences and expertise in human rights issues in a way that supports efforts to achieve common goals. For his part, the Austrian Ambassador valued the NIHR’s important role in the human rights area, and its efforts to carry out its social responsibilities in a large and distinctive manner.